I was looking for an activity where I will be training with motivated and healthy, competitive people that want to improve and learn. Calisthenics has been the perfect match. The group is amazing and Fitsz will push every single person to their personal level and capabilities. It's impressive how much I've improved since I started and it's so interesting to learn to use your own body weight and power to get fit. It is a very fun but hard class and the times just flies while training: you earn your dinner for sure! Training with Fitsz and Cuong has been an absolute pleasure. Anyone at any level can progress at the Commando Temple. The place and its setup alone will get the most out of you. The class has people of different age groups and strength capabilities and I found myself instantly welcomed there. Keep up the good vibes. Well done guys. Being a trainer myself I went to the temple to learn more about calisthenics and body weight movements and I have not been disappointed. Each session is methodical and structurally sound. I've learnt so much from the basics to more technical movements as well. Recently, I performed my first muscle up which is a big deal for me being over 100kg. In the past, I've been unable t do this feat purely because I didn't know how to break down the movement. Fitsz has shown me the way. Long story short, a happy customer ! Paul is an awesome coach! My deadlift had gone nowhere for a year and I'd seen Paul work wonders with his clients, so I signed up for semi-private lessons. After revisiting the basics of breathing and bracing, some soft tissue work and tweaks to technique, I hit a 10kg personal best after only 2 sessions. A few weeks later I (fairly) casually knocked out 11 reps with my old 5 rep max. It feels great to finally make real progress! I highly recommend Paul to anyone wanting to improve any of the power lifts. He knows his stuff inside out and really goes the extra mile, particularly with personalised programming. As good as a coach you may be, it's always good to have someone with a coaches eye to look over your technique and tweak it to make it better! This week I had Paul Marsh, a coach at the Commando Temple in London look over my deadlifting technique! With a few changes to my set-up, posture and technique, I was lifting more kg's than I had in quite a while! The moral of the story... Don't think you know it all as you can always learn more! A fresh pair of eyes can help you progress and achieve your goals. 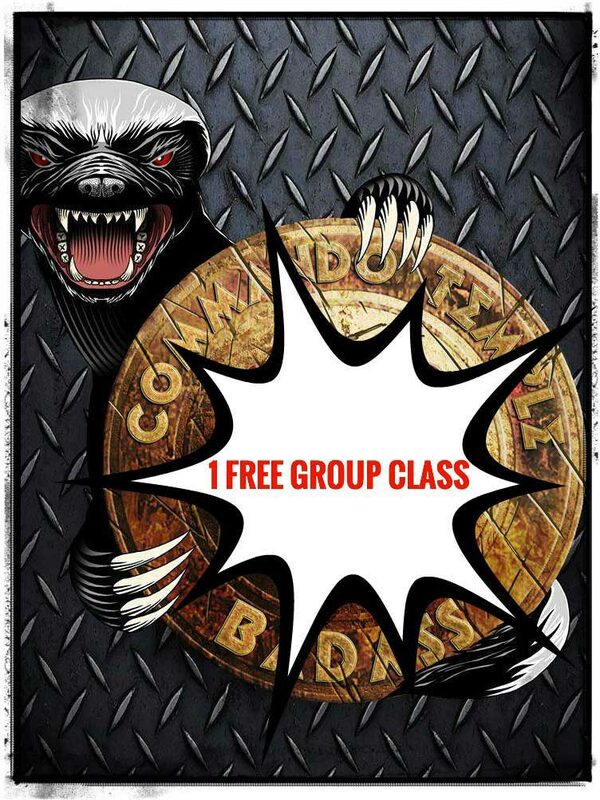 The Commando Temple has highly skilled professional trainers delivering results in every class they do. My personal favourite is the Calisthenics class taught by Fitsz who's great personality and passion shows in each class. He has personally helped me achieve my own goals such as front and back lever through his well thought out programme design and guidance. Can't say enough good things about this place. 5 star! Working with Mayyah is fantastic. She is able to draw on her broad experiences as an athlete, from sprinting to strongwoman to tailor sessions that are fun and work for you. It is obvious she has a great depth of experience coaching people which shows as she is able to get the best out of her clients and encourages you to test your limits to achieve more. Having the benefit of having trained with some of the best coaches and trainers in the world, she has a deep knowledge base upon which to draw. With a warm and encouraging style (don't be fooled no slacking allowed), Mayyah will be able to help you achieve your goals. I've trained with Mayyah many times and at each session she's taught me something new - she is always spotting ways I can improve on technique. She is a great teacher. One of the best things about Mayah, and there are many, is she practices what she preaches. Not only does she help you get strong, she keeps herself strong too. She is a true ambassador for the strong girl community. Girls - step away from Zumba or hours on the treadmill and get yourself training with Mayyah. You'll not regret it. A fresh mind and different perspective has been just what my business needed. Under robs guidance I've successfully rebranded, made big changes and fundamentally made 2014 my most productive and profitable year for business. I had a second Anterior Cruciate Ligament reconstruction 4 months ago. The injury has been going on for years and before I started training with Rob a month ago. He identified things no physios had, how the tightness I had in my ankles and hips would transfer twisting forces to my knees, and worked quickly and efficiently at removing the obstacles that stood in my way of strengthening and improving my knee and the surrounding muscles. This has been through a variety of exercises and muscles. He's pushed me to work hard and my body has been taken out of its comfort zone many times but never has there been any pain in my knee." Without Rob I know that I would not be where I'm at now & would be paying out a fortune to a chiropractor. I was having around my hips and hamstrings that had severely affected my training. I can honestly say I feel like a new woman with a whole new range of physical capabilities. Rob is an inspiration and has changed my life forever now! Rob isn't just a personal trainer, as far as I'm concerned he's the best out there! Rob shows all qualities you should look for - strength, passion, professionalism and humility. Trainers like Rob that work hard to continually improve are exactly what you want. I recommend his services highly! Rob is tirelessly hard working with bags of enthusiasm with many diverse skills. He is driven, focussed and always determined to further educate and improve himself through participation, dedication and hard training! I used Be Stronger gym to help my goals in thai boxing. Strength training was always something I neglected in sport as I used ways around it, I found the level of competition I was fighting at was getting better. I met Rob Blair at one of the shows I was fighting at, he suggested bringing in some strength work to my game and invited me to the club. There I met David Goodall who came up with a program which was very sport specific for my goals. Working with David was great, he is very informative in what we were doing and why. Before each fight I was setting my personal best with his guidance. Since working with David and the team down at Be Stronger I've won ICO southern area K1 title and the ICO British Muay Thai title both at 82kg. They have made my goals a reality and I will defiantly will be using them for future fights, they are the secret ingredient. Over the last 6 years I have worked with and was trained by the US and UK s&c coaches that have been named the best in various rankings. On a day to day basis I work with some high level athletes including pro MMA, top BJJ competitors as well as triathletes and polo players. I also work as s&c coach for a sports injuries physiotherapy clinic. Fitsz has been training me now for quite a while and I must say he is one of the best coaches I have ever worked with. Being in the profession myself not only as an s&c coach but also working with athletes recovering from injuries I don't easily trust other coaches with my own training, however from the first session with Fitsz I trusted him 100%. Fitsz - you are not only very professional but you also have a great attention to detail and a superb understanding of movement. Not only I have learned a lot from you about callisthenics, the sessions you take me through complement my weight training so well and have become an integral part of my schedule. I also have applied some of the techniques I have learned from you with the athletes I work with. I remember one of the well known coaches saying: "don't trust any trainer who hasn't got any grey hair", well... I'm sure he has not met you Fitsz, because if he did he would change his mind. I just want to thank you for all your help, patience and great sessions I always look forward to. I truly think you are a very good trainer and I appreciate a lot all the time you dedicate to train me. Fitsz has really impressed me over the last year. His enthusiasm as a coach rubs off on everyone around him and it’s obvious that he genuinely cares about the people he trains. Behind his enthusiasm is a real hunger for learning and a solid understanding of the principles behind everything he does. This shines through both in the results he gets with his clients and in the respect he has won in the industry. Fitsz’s clients are in safe hands and he has a bright future ahead of him! Great place. Highly recommend. Passionate coaches dedicated to overall health and wellness and not just making a fast buck. A way of life. I've been training at The Commando Temple for the last 4 months and to tell you the truth it has surpassed all my expectations. I can honestly say that I've found it! Everything works for me, the space, the location, the equipment, the people and the unique awesomeness that is being part of this unique community of extraordinary people. I've learnt a lot whilst training at The Commando Temple and must thank Snow Flake and Fitzs for their relentless commitment to keep this venue alive and thriving. It really is a temple - a haven from the outside world, where you can focus on pure strength, both inside and out. Rob is a knowledgeable, supportive and motivating force to have around and is passionate about getting the best out of his clients. It's got all the equipment you could possibly need along with targeted workshops and special guests speakers/trainers, and I honestly couldn't recommend it highly enough. Awesome strength & conditioning facility, very well equipped for powerlifting, strongman, grip strength, calisthenics and kettlebells (GS & hardstyle). I live in Eastbourne on the South Coast and try to make the 65 mile journey to the Commando Temple at last once per month due to the fact that it is by far the best strength and functional training facility I know of bar none. The guys and girls who frequent this place are a friendly tribe and know the meaning of hard work. Its an incredible facility frequented by inspiring people. Just wish I lived closer! Keep up the great facility and workshops guys! Peter Lakatos Founder and Creator of Primal Move - Master Coach at Strong First!